I like the iffice staff, the PA assistant and Dr. Hong and the lab person. My pet peeve was that allthe paperwork I filled out online had to be redone in the office because they did not receive it. Plus, the appt time had to be changed because ZocDic did not have Dr. Hong's schedule right. I like the iffice staff, the PA assistant and Dr. Hong and the lab person. My pet peeve was that all the paperwork I filled out online had to be redonein the office because they did not receive it. Plus, the appt time had to be changed because ZocDic did not have Dr. Hong's schedule right. He was very attentive and listened to all my concerns. The only reason I waited 30 min, was because I wasa new patient and needed to fill out some additional paperwork. He was very attentive and listened to all my concerns. The only reason I waited 30 min, was because I was a new patient and needed to fill out some additionalpaperwork. John J. Hong, M.D. is the CEO of United Gastroenterologists (unitedgi.com) Earned his medical degree at the University of Miami School of Medicine in Florida. Following graduation he completed his internship and residency training in internal medicine at the University of California Irvine Medical Center. He then completed his gastroenterology fellowship at the University of Chicago Hospitals & Pritzker School of Medicine. He also obtained certification in the Graduate Program in Health Administration and Policy while earning a M.B.A. at the University of Chicago Graduate School of Business. 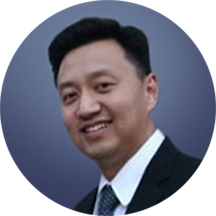 Dr. Hong is a board-certified Diplomate of the American Board of Internal Medicine, Gastroenterology, and Obesity Medicine. Dr. Hong has served on the Board of Directors at the LA Christian Health Centers (free clinics for the homeless located in the inner-city Skid Row), the Physicians Hospital of Murrieta (a joint venture with Loma Linda University Medical Center), Korean-American Missions Health Council, California Integrated Physicians Practice Association, and Digestive Health Physicians Association. Dr. Hong is the CEO of American Cardiac Education Specialists (ACES), and is an AHA ACLS and BLS instructor. He has served on multiple medical missions to Mongolia, Peru, Belize, Uzbekistan, Vietnam, Mexico, Ethiopia, India and Haiti. He has helped to train doctors & set up GI Endoscopy Labs in some of these 3rd world countries. Dr. Hong is the founder of the Healthcare Professionals Ministry (HPM) at the Young Nak Celebration Church in Los Angeles. Dr. Hong has served as a clinical teaching preceptor for medical students from the USC Keck School of Medicine and for nurse practitioner students from the USD Hahn School of Nursing. Dr. Hong is also actively involved with clinical research trials in Inflammatory Bowel Disease, Hepatitis, Cirrhosis, Barretts Esophagus and Endoscopy. He has also volunteered his time with the Crohns Colitis Foundation of America and has received the State of California Senate certificate of recognition in honor of outstanding community service. Dr. Hong is also an active member of the American Gastroenterological Association, American College of Gastroenterology, American Society of Gastrointestinal Endoscopy, American Society of Bariatric Physicians, Southern California Society of Gastroenterology, and the Christian Medical & Dental Association. He was the best doctor I've ever seen in my life. He listened to me go on and on with my medical history, has an excellent sense of humor, in my opinion, he has vast knowledge of his specialty and peopleperson. I would love to have him as my primary doctor. Dr. Hong is one of the nicest, most professional, most thorough Dr's I have ever met. He took his time, did not rush the appt, explained every single possibility in detail, ordered complete tests and was very open minded and positive.I truly wish more Dr's had the same professionalism, and bedside manner as Dr Hong.